Angel Fluff is a delicious fluffy layered dessert of angel food cake that's coated with a creamy- cream cheese topping, strawberry pie filling and fresh blueberries. Today is the first day of school for my kids, so summer break is officially over!!!! Growing up I remember our summer break started at the end of May, and we didn't return to school until after Labor Day. I always enjoyed getting three full months of summer vacation! For my kids they're in school until the first week of June and return by the end of August. Throughout summer we always have celebrations for Memorial Day, 4th of July and Labor Day. 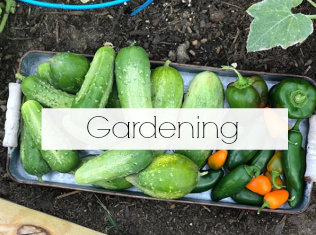 Most times it's a cookout, picnic or a barbecue with friends and family. Labor day is not only a national holiday set aside for working men and woman, but it also represents the un-official end of summer and the beginning of fall. In Texas that calls for a celebration! It's still pretty hot, but fall is coming!!!! As a family we look forward to the three-day Labor Day weekend. The kids have their first week of school behind them, and my husband and I look forward to time off from work. A cookout is usually on the agenda as well as some much needed family time. 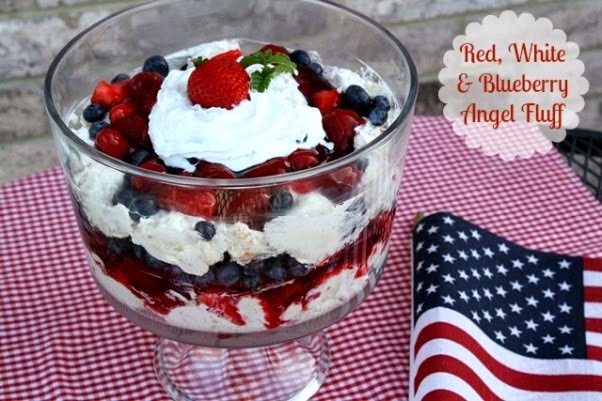 I always make a festive dessert in honor of the holiday, and it's usually a red, white and blue one. 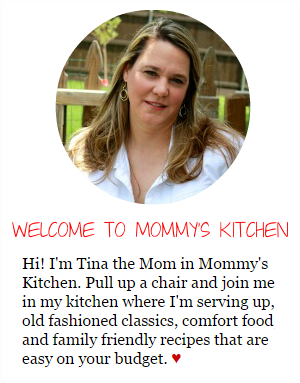 As a Walmart Mom I was asked to share a favorite Labor Day recipe with all of you. 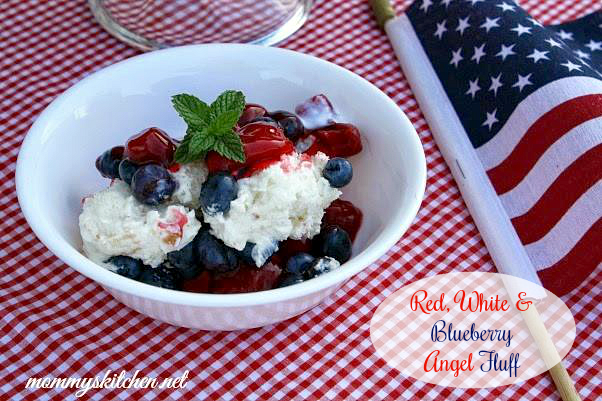 Since Labor Day is the Monday I thought I would share this fun and festive Red, White & Blueberry Angel Fluff. 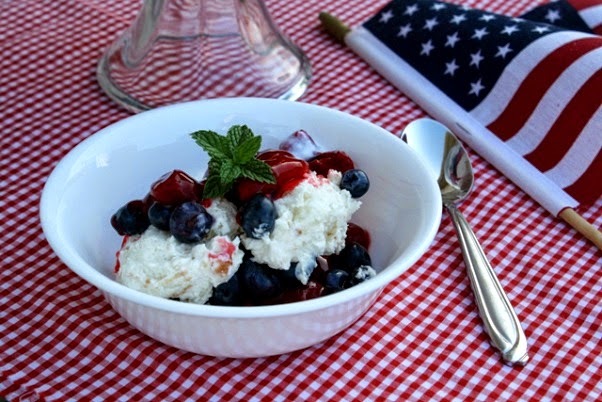 This dessert is perfect for any occasion, but especially yummy for patriotic holidays. 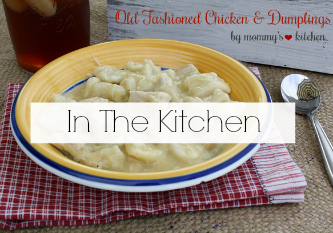 This recipe calls for just a few ingredients, and is pretty impressive when it's all said and done with. While I was at Walmart last week finishing up the kids school shopping I grabbed everything I needed to make this easy dessert. 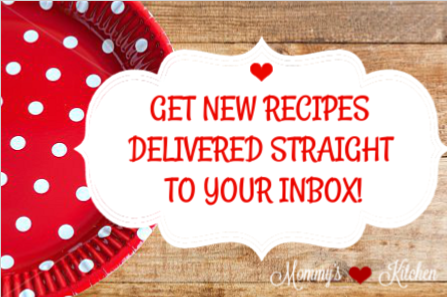 Start by cutting the angel food cake into small cubes and place into a large bowl. In a medium size bowl or using your kitchen aid stand mixer, add the cream cheese and powdered sugar. Beat until well blended. Fold in 2 cups of the whipped topping reserving an additional cup for the top of the dessert. Add the angel food cake pieces and lightly toss until all pieces are covered. Quarter the strawberries and combine with the pie filling. In a large clear glass bowl or trifle bowl add half of the angel food cake to the bottom of the dish. Add 3/4 of the strawberry mixture over the angel food cake, and half of the blueberries. 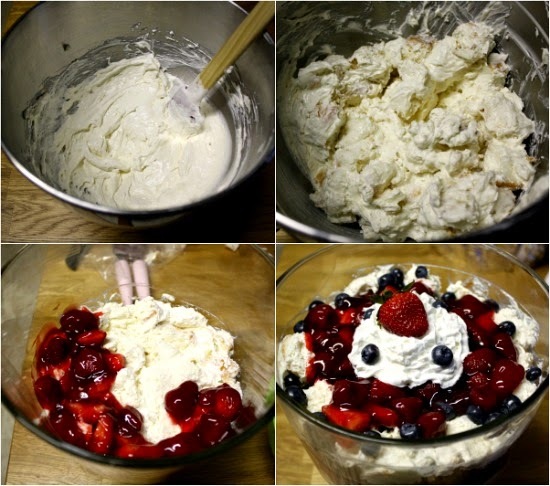 Once that layer is complete, add the remaining angel food cake, strawberries mixture, blueberries, and top with the remaining one cup of whipped topping. Garnish with additional berries and chill for at least 2 hours before serving. 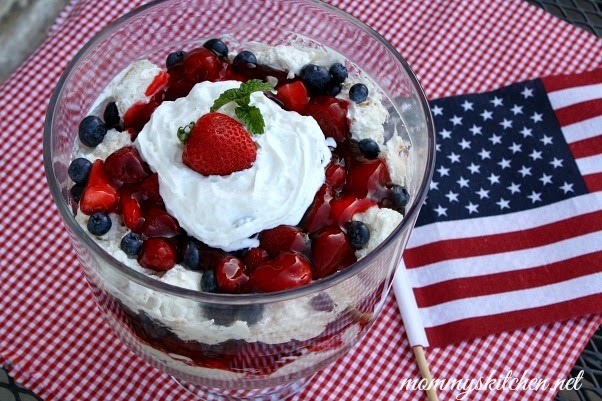 This dessert is so pretty with the red, white and blue layers. Enjoy!!!! Cut the angel food cake into small cubes and place into a large bowl. In a large size bowl or using your kitchen aid stand mixer, add the softened cream cheese and powdered sugar. Beat until well blended. Fold in 2 cups of the whipped topping reserving an additional cup for the top of the dessert. Add the angel food cake pieces and lightly toss until all pieces are covered and set aside. Rinse the blueberries and strawberries and pat dry. Quarter the strawberries and combine with the strawberry pie filling. 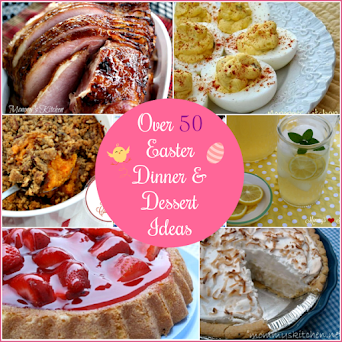 In a clear glass bowl or trifle dish add half of the angel food cake to the bottom of the dish. Add 3/4 of the strawberry mixture over the angel food cake and half of the blueberries. Once this layer is complete, add the remaining angel food cake, strawberries, blueberries, and top with the remaining one cup of whipped topping. Garnish with additional berries and chill for at least 2 hours before serving. 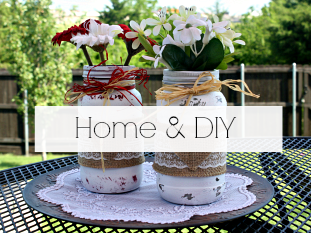 For more great Labor Day Ideas, check out the following posts from my fellow Walmart Moms! I miss school starting after labor day also. This looks so good and would be perfect for a bbq or family gathering. I can see it working for 4th of July as well. I'm going to have to pin it real fast that way I can come back to it soon. Perfect dessert to fix for our Labor Day gathering. Thank You. Light & Luscious! And how I LOVE anything patriotic. Perfect! 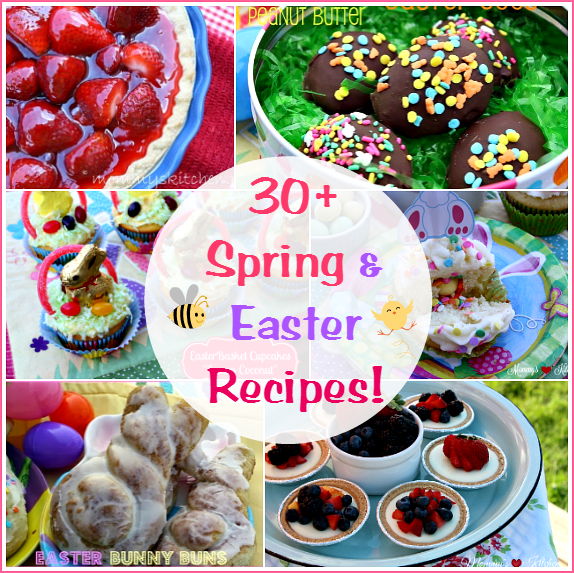 I just love simple and easy desserts like this for a cookout! Great festive recipe for Labor Day! We are looking forward to the weekend for sure. Thanks for sharing! I can truly see myself enjoying a dessert like this one. Looks creamy and with the perfect fruits and colors,thank you for this wonderful recipe. Hi! How can I pin this? Thanks.